PT Bank Pembangunan Daerah Banten Tbk - Bank Banten (IDX : BEKS) is a rapid growing public-listed regional development bank in Indonesia. Bank Banten was first established in 1993 as PT Bank Executive International. Later in 2010, the Bank changed its name to PT Bank Pundi Indonesia Tbk. The name of PT Bank Pembangunan Daerah Banten Tbk officially launched on 29 July 2016. 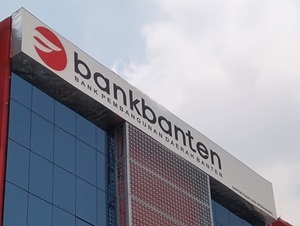 According to information found in Bank Banten's website as cited by JobsCDC.com, Bank Banten is 51% owned by PT Banten Global Development and 49% by public. Bank Banten is based in Jakarta and its head office is registered at Jl RS Fatmawati No 12 Jakarta Selatan. As of December 2016, Bank Banten operates 130 offices spread in all over Indonesia, comprising 1 head office, 48 branch offices, and 53 sub-branch offices including 29 Functional Office Non Operational. Have the required competencies in Account Officer (soft competency and hard competency). Minimum 3 years of experience in banking industry as Consumer Account Officer / Consumer Analyst. Have a good understanding about the finance and service business, credit and banking operational in general. Able to establish or build a good relationship with a target-oriented set. Have a good understanding of risk management in banking industry. Have a good understanding of banking regulation. Age around 21 - 24 years old. The candidate with prior experience minimum of 1 year in banking industry is preferred. JobsCDC.com now available on android device. Download now on Google Play here. Please be aware of recruitment fraud. The entire stage of this selection process is free of charge. PT Bank Pembangunan Daerah Banten Tbk - Teller, CS, AO Consumer Bank Banten January 2018 will never ask for fees or upfront payments for any purposes during the recruitment process such as transportation and accommodation.